Owego, New York, on the Erie's Southern Tier line, was where the Lehigh Valley began trackage rights to Binghamton. Here Erie Lackawanna switcher no. 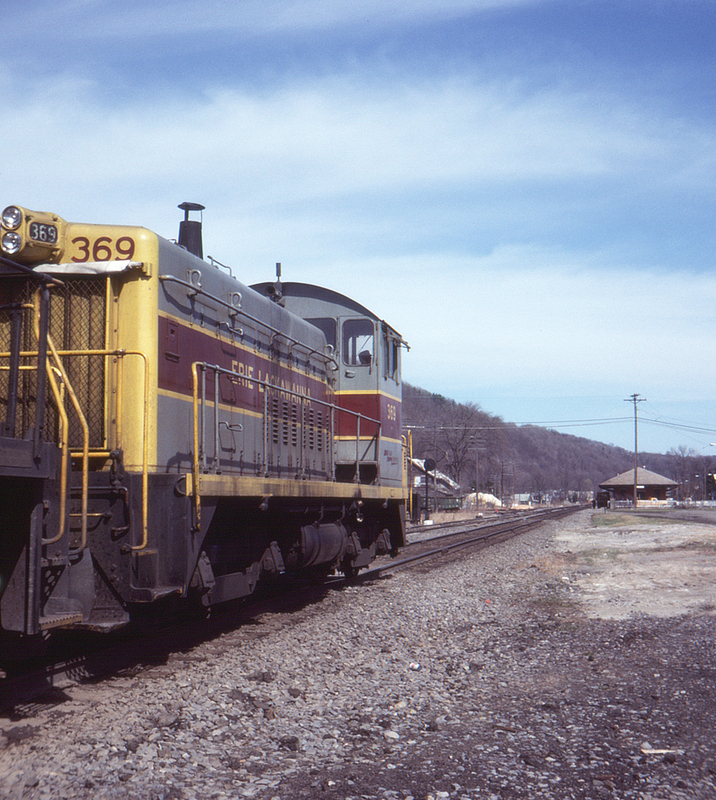 369 approaches the former Erie depot; the Lehigh valley station and junction are out of sight to the left.